Team Cheetah’s Identity stays the same as the members of the team come and go. The Name – A team’s name is like it’s brand – as it illustrates the specific characteristics of the team. Some brands are abstract terms and some carry with them specific connotations. Like Team Cheetah – the Cheetah is the fastest land animal so in Team Cheetah, we are well known for how quickly we get things done and how fast we move on opportunities. Age – a newer team may have fewer characteristics they have demonstrated over time. But you still do have an identity even as a new team – it can be as simple as we all wear glasses (rose colored glasses maybe?). Team Cheetah is over a decade in existence – yet we do have members come and go. Our common feature as individuals is a preference for action over analysis and just do it. Skills, knowledge and experience – what the team does and how well they do it makes up a core of the identity. At Team Cheetah we have a deep bench of expertise in delivering exceptional accelerated learning experiences around the globe. We have demonstrated world wide how to put on project management training events that completely wow our clients for the immediate results Cheetah students experience. Location – the team’s location can matter especially for companies that have many similar teams distributed geographically – like we are the IT support team for North America. Team Cheetah has been a fascinating demonstration of how well a virtual team develops and maintains it’s strong identity even though we are all virtual. We work with each other over the phone and internet throughout the day supporting our trainers and our students wherever they are on the planet. What the job involves – the job of the project team is to complete the project. Identifying the team by the completion goal helps focus the team on completion. At Team Cheetah – our job is to make sure our students achieve their highest potential, the fastest ways possible. Everyone single one of us is student focused – insuring Cheetah students achieve their goals at Cheetah Speed. Team Inspiration – having a shared vision, values, goals, and motivations is crucial for a strong team identity. At Team Cheetah – our vision is that everyone is capable of achieving greatness. Our mission is to help our students activate their innate genius so they achieve their goals and dreams at Cheetah Speed. We make sure every training experience is elegant – which means we have considered every nuance to ensure Cheetah students have the best chance of succeeding, fast. 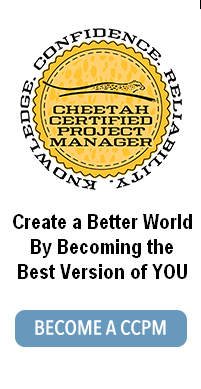 This is why 97% of all Cheetah students recommend Cheetah to their professional and personal associates. Having a strong team identity helps create a high performing team. We created the Cheetah 20 hour online course Effective Virtual Teams to help you use what we have learned at Cheetah Learning by running a successful virtual team since 2001. 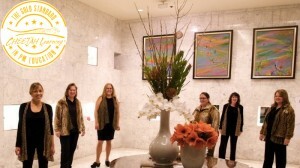 Visit www.cheeetahsmartstart.com to get free project management templates to create a strong project team. This entry was posted on Friday, February 26th, 2016 at 3:00 pm	and is filed under High Performing Business. You can follow any responses to this entry through the RSS 2.0 feed. Both comments and pings are currently closed.